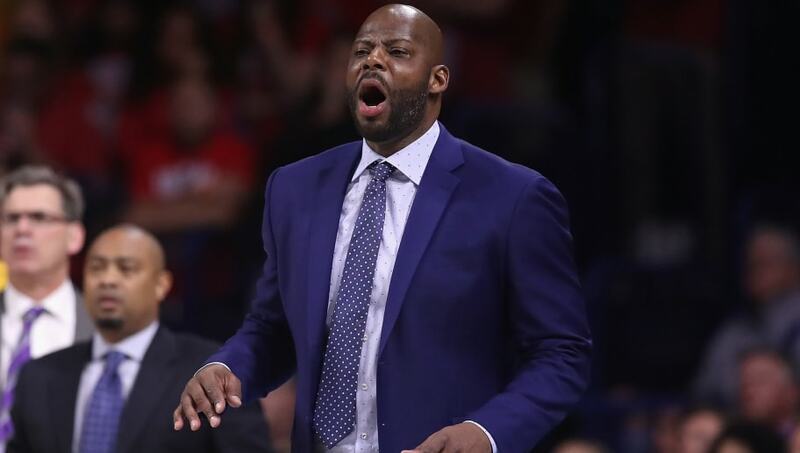 University of California head basketball coach Wyking Jones has been relieved of his duties on Sunday, first reported by John Canzano of The Oregonian. Per reports, Cal was initially planning on bringing Jones back for next season. However, after many of the basketball players talked to the school's administration, they decided to let him go, according to Canzano. (Cont.) Several Cal players met with the Cal AD in recent days. It prompted a reversal by the athletic department, I'm told. Jones' replacement will be Cal's fifth coach over the past 12 years, which is a testament to the decline of their basketball program over the years. This was the program's worst back-to-back seasons since the 1970s, according to ESPN's Jeff Goodman. Jones' record with the Golden Bears finishes at a mediocre 16-47, totaling only five conference wins Pac-12 play. The school will buy out Jones for the remainder of his contract. As for the Golden Bears' potential new coach following this player-led mutiny, Jason Kidd is being widely regarded as Cal's top target. Kidd's most recent coaching endeavor was in the NBA for the Milwaukee Bucks and prior to that, the Brooklyn Nets. Kidd is a former Cal basketball player himself, but according to ESPN's Adrian Wojnarowski, he is also going to be a serious candidate for the coaching job in Los Angeles if the Lakers decide to fire Luke Walton after this disastrous season. Don't count your chickens yet, Cal ballplayers.